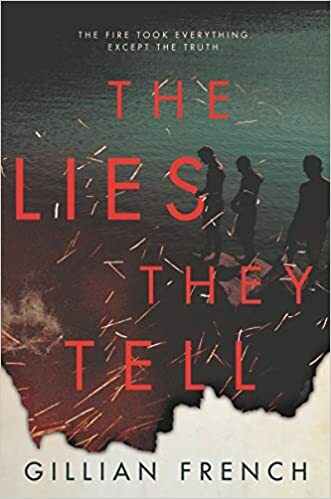 Description: With shades of E. Lockhart’s We Were Liars, this dark and twisted mystery by the highly acclaimed author of Grit will be the page-turner of the year. My Thoughts: This twisty mystery takes place in a town in Maine where the townies and tourists are sharply divided groups. Everyone knows about the Garrison tragedy where the father, mother, sister and younger brother of Tristan Garrison on Christmas Eve. The house was set on fire to conceal the fact that they were all shot to death. Tristan is the only survivor because he was away skiing with friends. Pearl's father was the night watchman and lost his job and most of his other rich customers as a result of the tragedy. When summer comes again and with it Tristan and his rich friends, Pearl who works as a waitress at the country club decides to see if she can find out what led to the tragedy. She wants to clear her father's name. Catching the attention of one of Tristan's devoted followers, she insinuates herself into the group of rich kids and discovers all sorts of secrets about their lives. She even becomes fascinated with Tristan who is having difficulty rebuilding his life though he hasn't lost his grip on his social set. Her investigation is also jeopardizing her relationship with her best friend Reese. Although their relationship is already changing as Pearl realizes that she wants him as a boyfriend at the same time that he is building a relationship with another girl. I liked the family dynamics in this story as Pearl tries to cope with a father who is turning more and more to alcohol and a mother who left the family but still wants a relationship with Pearl. The mystery was intriguing too. By the time Tristan reached them, many of the partyers had faded back, found other places to be, other people to turn to. His separateness was a physical force; even Pearl had to fight down the need to make room. He stood looking at the fire, his hands in the pockets of his shorts. In the charged silence, Aki hunched forward. "S'up, man. Want a beer?"